Casual caribean dining. 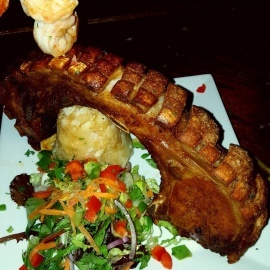 Home of the Shrimp Jibarito,Fried Shrimp,Mofongos, and Skirt Steak. Frozen Margarita, 50+craft beers patio seating available. 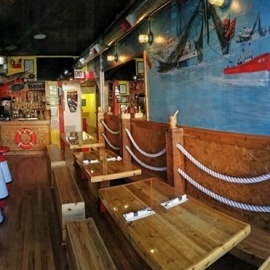 Counter-serve seafood shack that serves late with beer & wine, TV sports & indoor/outdoor seats.